GameShark was a device that allowed you to alter the memory of a game to allow players to have unlimited items, teleport around areas of the game, or even unlock parts of the game the developers hid in the final product. Ocarina of Time was released in three different versions and the codes for each versions are different. Below you can find out how to figure out which cartridge you have. The easiest way to see which version of Ocarina of Time you have is to check the punch-code on the label on the back of the cartridge. The rotating N64 logo during the startup is very bright. Some grey cartridges were also 1.0. The Fire Temple theme includes religious lyrics for both 1.0 and 1.1. 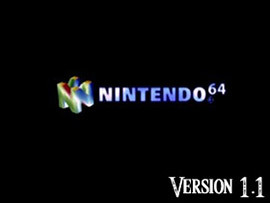 The rotating N64 logo during the startup is darker. Ganondorf's blood is still red. The Swordless Link glitch does not work 1.1+. You can no longer cast the fishing rod near the door in the fishing pond. The Fire Temple theme was changed. There are just some of the differences found in the different versions of the game. If you still need help, you can post on our forums and we will help you out as best we can. Otherwise you are free to try the codes below until you get the ones that work. Now that you have found out which version of Ocarina of Time you have, we can now move on to the codes for your version. Below is the links to the codes for the different versions. Keep in mind that some codes are not compatibile with each other, and it is very easy to freeze your game up while using a lot of these codes at once.